“We must aim to stay on a creative learning curve, consciously not using words we’ve used too many times before or falling back into the same old pattern each time we compose a song. 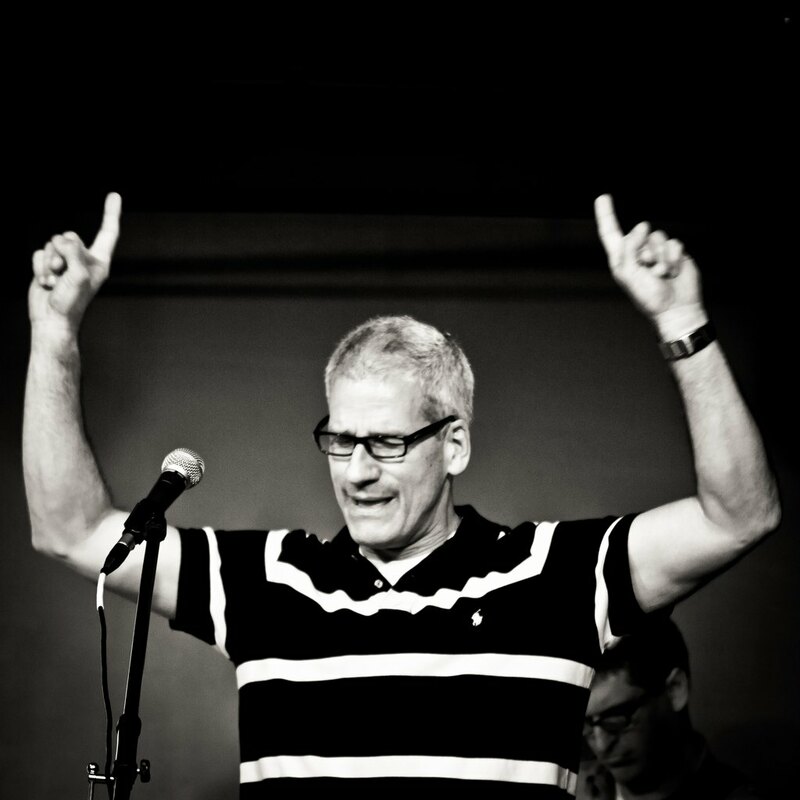 The poet is always aiming to say old things in a new way — or as Brian Doerksen puts it, universal themes in a unique way.” — Paul Baloche in God Songs: How To Write And Select Songs For Worship (w/ Jimmy & Carol Owens). We sing to God (Psalm 100:1-2), and God sings to us (Zephaniah 3:17). Music has always been important to God’s people because music is important to God. But many people today speak disparagingly of “Christian music” – even Christians. Part of the debate centers on music for the church versus music from the church, the latter of which might be about subjects such as romance, war, growing up, growing old, working, playing or anything else. “Jesus Is My Boyfriend” songs – songs that might be about Jesus, or that might be about the hunk or hottie at your local pool. Me-Centered Worship – songs that tell God how great our love for Him is, how bodacious our praise is … and say almost nothing about Him. Vague theology — worship songs that could be sung word-for-word with equal fervor by worshipers of any monotheistic religion. Good contemporary “worship music” songwriters exist, and are adding songs to the church canon that should last (Matt Redman, for instance, and Sovereign Grace Music). But we’ve all heard songs like the kind referenced above. 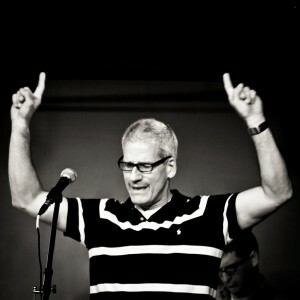 Bob Kauflin of Sovereign Grace leads a songwriting workshop at our church, Sojourn. Why have some church songs lasted for hundreds of years, while others sound embarrassing within a decade of their creation? Are bad music and cheesy lyrics keeping people from examining the Christian faith? 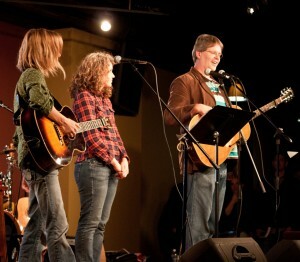 Sandra McCracken, Chelsey Scott & Kevin Twit of Indelible Grace, at Sojourn. 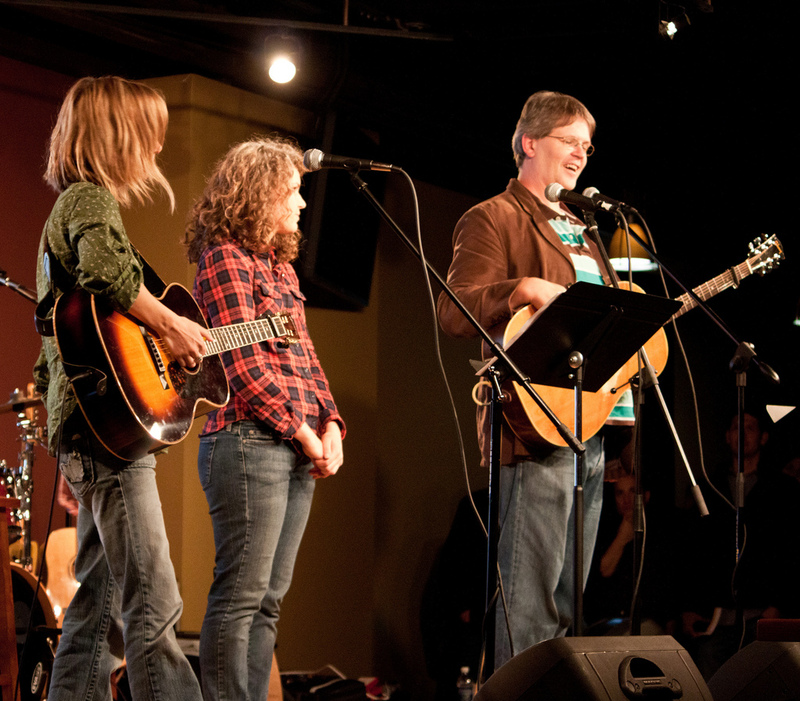 Twit has led several songwriting workshops for us. Songwriters, lets take our responsibility seriously. Let’s learn and grow together, for the glory of God. Don’t reach for the easy cliché. Let’s stretch. Let’s embrace the best Christian hymnody of the past even as we rush into a future where music for the church is a credit to the church, and the God who inspires our songs.